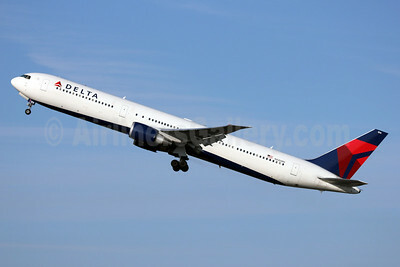 Delta’s net income for the December 2012 quarter was $238 million, or $0.28 per diluted share, excluding special items1. Results include the $100 million negative impact of Superstorm Sandy on airline and refinery operations. Delta’s net income for 2012 was $1.6 billion, excluding special items, a $362 million increase over 2011. Delta’s GAAP net income was $7 million, or $0.01 per diluted share, for the December 2012 quarter and $1.0 billion for 2012. Delta’s unit revenues were up 4.3 percent for the quarter and the company’s unit revenue gains have outperformed the industry for 21 consecutive months. 2012 results include $372 million in profit sharing expense, including $63 million in the December quarter, recognizing Delta employees’ contributions toward meeting the company’s financial goals. Delta’s adjusted net debt at the end of 2012 was $11.7 billion, a $5.3 billion reduction from 2009. Delta’s operating revenue grew $203 million, or 2 percent, in the December 2012 quarter compared to the December 2011 quarter, despite a $75 million revenue decline associated with Superstorm Sandy. Load factor increased to 83.3 percent, with traffic up 0.7 percent on a 1.3 percent decrease in capacity. Passenger revenue increased 3.0 percent, or $215 million, compared to the prior year period. Passenger unit revenue (PRASM) increased 4.3 percent, driven by a 2.3 percent improvement in yield. Cargo revenue decreased 5.9 percent, or $15 million, on declining freight yields. Other revenue increased 0.3 percent, or $3 million, as higher codeshare revenue was offset by lower third-party maintenance revenue. Cash from operations during the December 2012 quarter was $585 million, as the company’s profitability and working capital initiatives were partially offset by the normal seasonal decline in advance ticket sales. Capital expenditures during the December 2012 quarter were $600 million, including $310 million in fleet investments and $70 million of capital investments for the Trainer Refinery. During the quarter, Delta’s net debt and capital lease payments were $17 million. In October, Delta refinanced $1.7 billion in debt and undrawn revolving credit facilities secured by the company’s Pacific routes and slots, which resulted in a lower interest rate. Delta expects the transaction will generate more than $30 million in annual interest expense savings. As of Dec. 31, 2012, Delta had $5.2 billion in unrestricted liquidity, including $3.4 billion in cash and short-term investments and $1.8 billion in undrawn revolving credit facilities. The company ended 2012 with adjusted net debt of $11.7 billion and Delta has now achieved more than $5 billion of its $7 billion debt reduction target since 2009. Total operating expense increased by $577 million as a result of higher fuel costs and wages. Interest expense declined $30 million as a result of Delta’s debt reduction strategy. Consolidated unit cost (CASM3), excluding fuel expense, profit sharing and special items, was 5.7 percent higher in the December 2012 quarter on a year-over-year basis, driven by the impact of capacity reductions, wage increases, and operational and service investments. GAAP consolidated CASM increased 9 percent. Delta’s average fuel price2 was $3.24 per gallon for the December quarter, which includes 5 cents per gallon in settled hedge gains and a 7 cent per gallon loss from the Trainer refinery. During the quarter, jet fuel production ramped up at the Trainer Refinery. However, Superstorm Sandy negatively impacted the refinery start up, slowing production and lowering efficiency levels at the plant. As a result of the reduced production, the refinery produced a $63 million net loss for the quarter. At current market prices, Delta expects Trainer to produce a modest profit in the March quarter. a $3 million mark to market loss on fuel hedges. an $80 million charge for severance and other items, including loss on early extinguishment of debt. (1) Note A to the attached Consolidated Statements of Operations provides a reconciliation of non-GAAP financial measures used in this release and provides the reasons management uses those measures. (2) Average fuel price per gallon: Delta’s December 2012 quarter average fuel price of $3.24 per gallon reflects the consolidated cost per gallon for mainline and regional operations; the impact of fuel hedge contracts with original maturity dates in the December 2012 quarter; and net refinery results including the impact of self-supply from the production of the Trainer refinery, the impact of refined products exchanged with Phillips 66 and BP. Settled hedge gains for the quarter were $43 million, or 5 cents per gallon. On a GAAP basis, fuel price includes $3 million in fuel hedge mark-to-market adjustments recorded in periods other than the settlement period. The net refinery loss for the quarter was $63 million, or 7 cents per gallon. See Note A for a reconciliation of average economic fuel price per gallon to the comparable GAAP metric. (3) CASM – Ex: In addition to fuel expense, profit sharing and special items, Delta excludes ancillary businesses which are not related to the generation of a seat mile, including aircraft maintenance and staffing services which Delta provides to third parties and Delta’s vacation wholesale operations (MLT). The amounts excluded for 2012 were $185 million and $883 million for the December quarter and full year, respectively. The amounts excluded for 2011 were $216 million and $847 million for the December quarter and full year, respectively. Management believes this methodology provides a more consistent and comparable reflection of Delta’s airline operations. Copyright Photo: Nick Dean. Boeing 767-432 ER N840MH (msn 29718) climbs away from the runway at Everett (Paine Field). This entry was posted in Uncategorized and tagged 29718, 767, 767400, 767432, aviation, Boeing, Boeing 767, Boeing 767400, Delta Air Lines, Everett, N840MH, PAE, Paine Field, transportation on January 22, 2013 by Bruce Drum. Delta Air Lines‘ (Atlanta) eighth annual “Breast Cancer One” employee survivor charter takes flight for the fight today in advance of Delta’s October fundraising efforts benefiting The Breast Cancer Research Foundation. In memory of BCRF Founder Evelyn Lauder, Delta’s Boeing 767-400 signature ‘pink plane’ (above) will be dedicated at New York’s LaGuardia Airport in a presentation attended by her husband, Leonard Lauder, BCRF Acting Chairman and Chairman Emeritus of The Estee Lauder Companies, as well as BCRF staff. Delta’s pink plane will fly from Atlanta’s Hartsfield-Jackson International Airport to New York’s LaGuardia Airport with more than 140 employee cancer survivors from 19 different departments in 35 locations around the world. In addition to the pink plane, throughout October Delta’s administrative building at its general offices will be illuminated in pink lighting in support of BCRF. Delta employees also will wear pink uniforms and sell pink products including pink lemonade and pink headsets onboard and in Delta Sky Clubs to raise awareness and support for breast cancer research. All proceeds benefit BCRF. Delta also will donate $1 to BCRF for the first 50,000 new “Likes” on the Delta Facebook page during October. New and current fans will be able to download a customized Delta Facebook cover and profile image, highlighting their contribution to the cause. 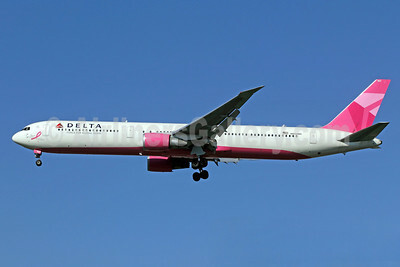 Delta began its partnership with BCRF in 2005. Since then, employees and customers have raised more than $5 million and contributed to 18 fully funded research grants worldwide. In other news, Delta will drop the New York (LaGuardia)-Ottawa route on October 28, followed by the Memphis-Cleveland route on November 27 according to Airline Route. Copyright Photo: Michael B. Ing. Boeing 767-432 ER N845MH (msn 29719) arrives back at the ATL hub. This entry was posted in Delta Air Lines and tagged 29719, 767, 767400, 767432, ATL, Atlanta, aviation, Boeing, Boeing 767400, breast cancer research, Breast Cancer Research Foundation, Delta, Delta Air Lines, hartsfield jackson international, hartsfield jackson international airport, N845MH, new york laguardia, transportation on September 20, 2012 by Bruce Drum. 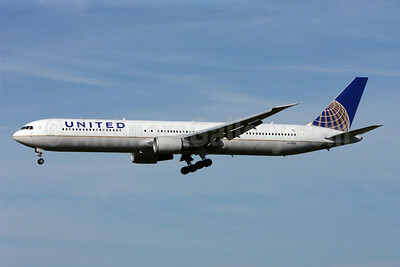 United Airlines (Chicago) and the International Association of Machinists and Aerospace Workers (IAM) Have announced an agreement to enter into expedited contract negotiations with the assistance of the National Mediation Board (NMB) for six classifications covering 35,400 employees at the airline. The agreement announced today establishes an intense bargaining process with the goal of achieving joint labor agreements by November 15, 2012. If new accords cannot be reached, the IAM and United Airlines agree to jointly apply for mediation to combine all contracts into a single agreement for each classification. Pre-merger United employees have been in mediated contract negotiations since 2009 that have remained stalled due to the merger of United, Continental and Continental Micronesia and subsequent representation elections. Employees from Continental and Continental Micronesia are either working under contracts that are not normally amendable or were unrepresented prior to the merger and currently have no contract. The IAM is the largest union at United Airlines representing 34,500 Fleet Service, Customer Service and Reservations, Stock Clerk, Dining Service, Maintenance Instructor, Ground Instructor and Security Officer Employees. Copyright Photo: Pascal Simon. Boeing 767-424 ER N76054 (msn 29449) arrives in Frankfurt. This entry was posted in United Airlines and tagged 29449, 767, 767400, 767424, aviation, Boeing, Boeing 767, Boeing 767400, Continental Micronesia, FRA, Frankfurt, international association of machinists, international association of machinists and aerospace workers, N76054, national mediation board, transportation, United Airlines on August 14, 2012 by Bruce Drum. United Airlines (Chicago) has announced that flight attendants from the Continental subsidiary, represented by the Association of Flight Attendants (AFA), ratified a new labor agreement. The new agreement covers approximately 9,000 United flight attendants at the company’s Continental subsidiary located throughout the United States. The company and the AFA will soon commence negotiations for a joint collective bargaining agreement for flight attendants at United, Continental and Continental Micronesia. 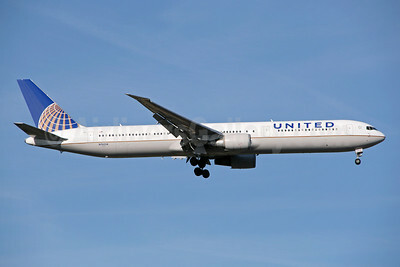 Flight attendants from the company’s United subsidiary ratified a new four-year contract in February 2012. The AFA represents more than 24,000 flight attendants at the company’s United and Continental subsidiaries. This entry was posted in Continental Airlines, United Airlines and tagged 29453, 767, 767400, 767424, association of flight attendants, aviation, Boeing, Boeing 767, Boeing 767400, collective bargaining agreement, Continental Airlines, Continental Micronesia, N67058, transportation, United Airlines, united flight attendants, ZRH, Zurich on July 14, 2012 by Bruce Drum.